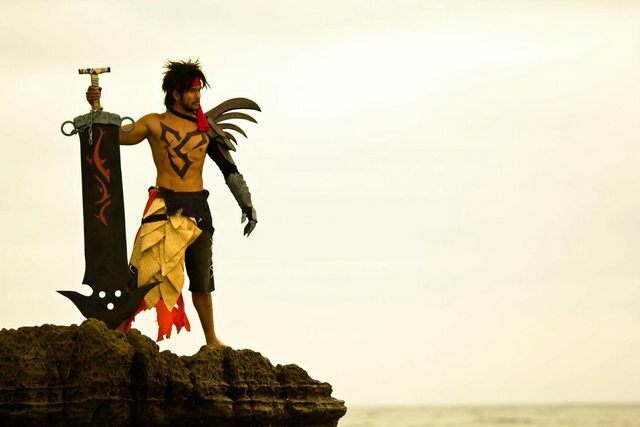 So on a whim a friend told me I would make a pretty decent Jecht. So on another whim I tried to cook one up. I didn't think it would be that hard, and it wasn't....if I weren't such an idiot making the sword, but we'll visit that in a second. Here is the reference for starters. 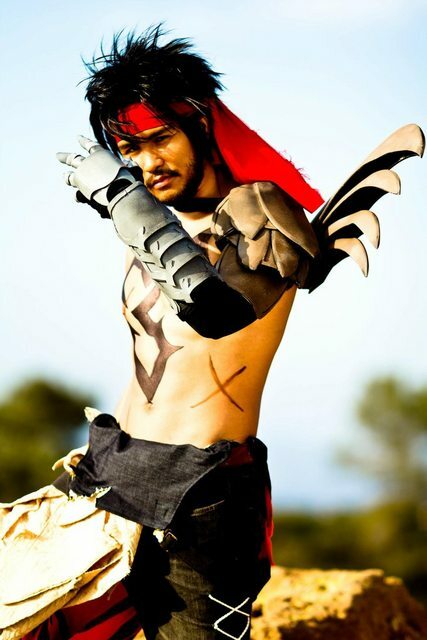 Started off by patterning out spiky things on his back. As per the in game art they are in a but of a wing formation. 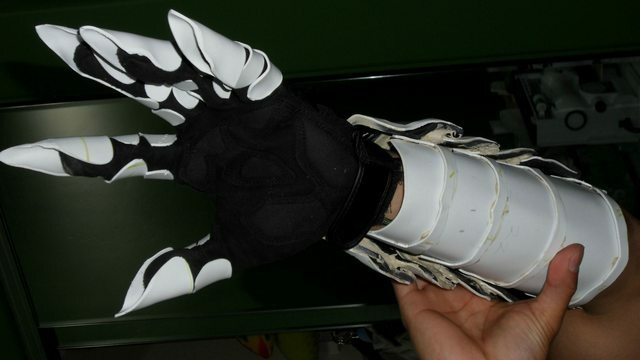 I don't think I wound up using this specific pattern, but the concept was the same. 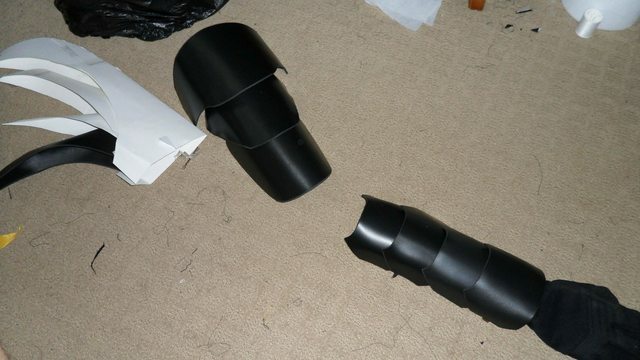 Patterned and cut out the rest of the armor for the arm. 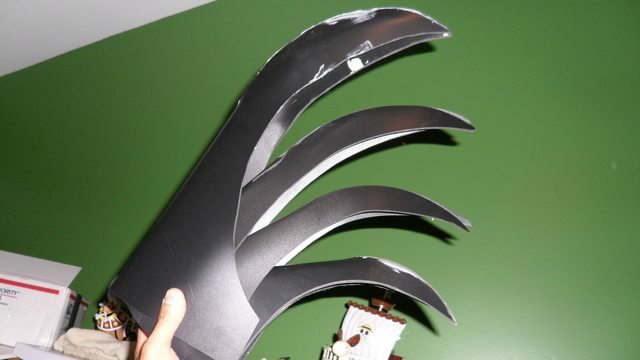 Wound up using super big spikes that I made. So pretty! Added some styrene and sintra to the shoulder pieces to give some good detailing. 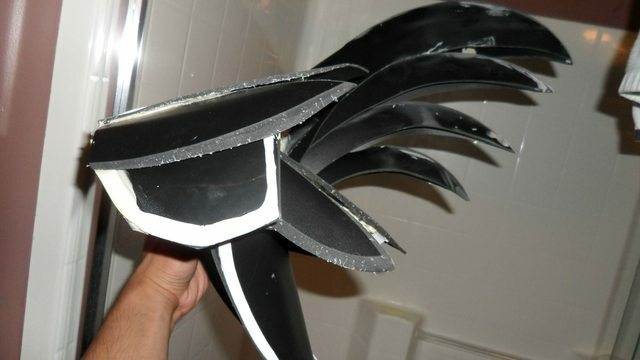 Also added Liquid Nails and bondo to close up the seams on the spikes. 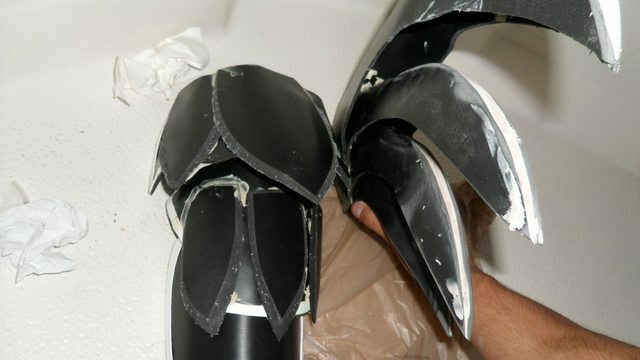 Added the same style of detailing on the forearm armor as well as the clamshell under bracer. 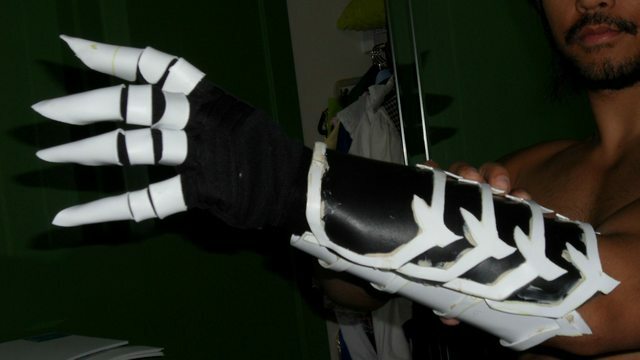 The bracer would clamshell by having elastic on both sides of the bracer and having my arm slip into it. 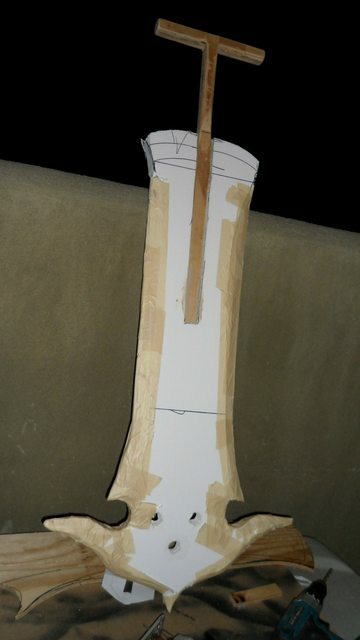 was to use the foam, fiberglass madness method I made up. Yeah...well...it didn't work out. Looked like a balloon. So I did a plywood build...shape was NOT right at ALL. 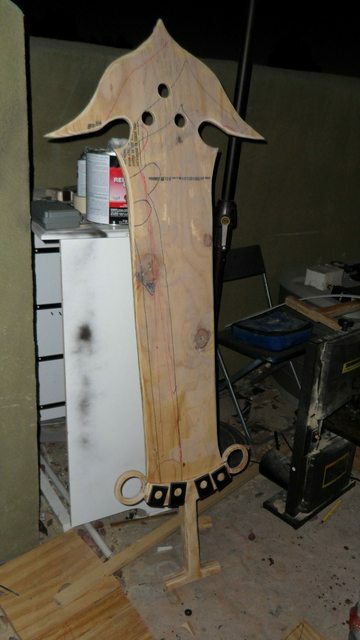 So eventually I just did it the RIGHT way and I printed out the sword from the art, then traced it out onto my plywood. 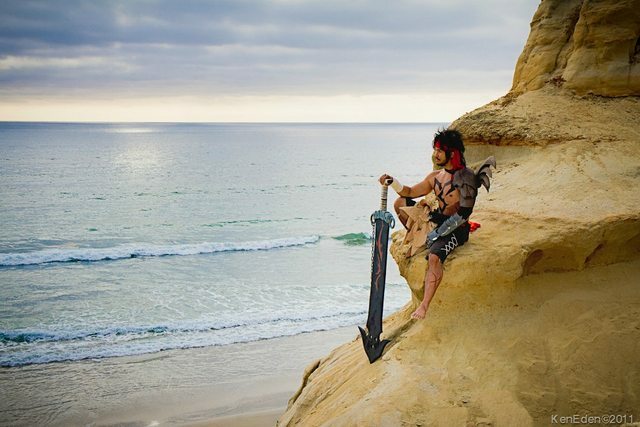 Everything on the sword was fabricated by me. 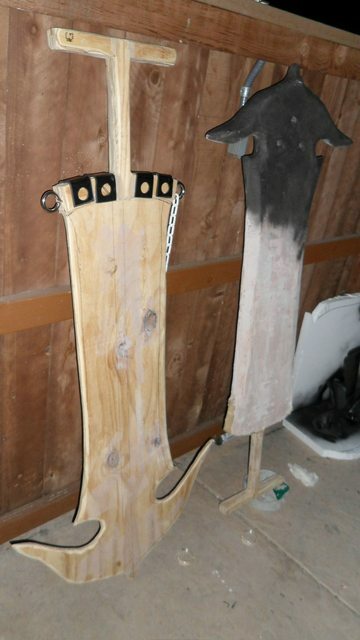 The buckles on the bottom are sintra and the loops are made from plywood on either side. 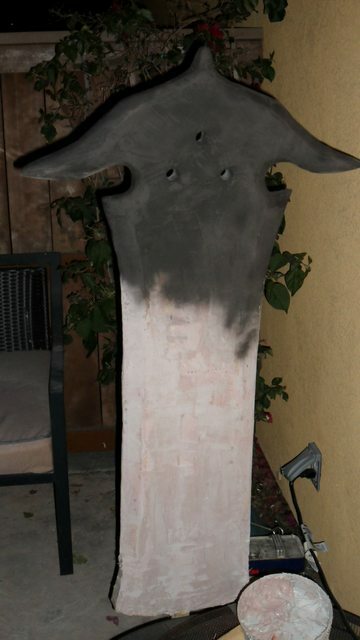 Smoothed it out with a ton of sanding as well as bondo to fill out wood grains. Painted the thing black and glossed it. Used my paper guide and converted it into a stencil for the orange detailing then send it out the door. Hope people like it! 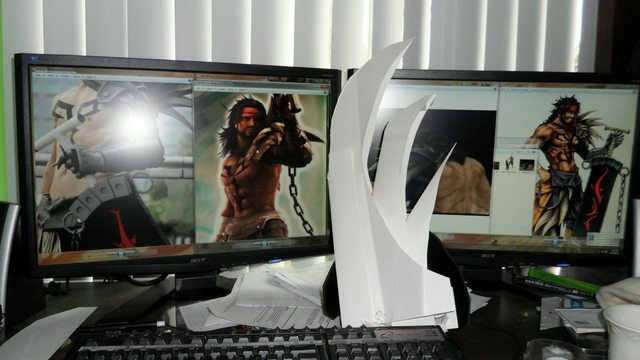 Hey I saw a link to this while searching for tutorials for Tidus's brotherhood sword. 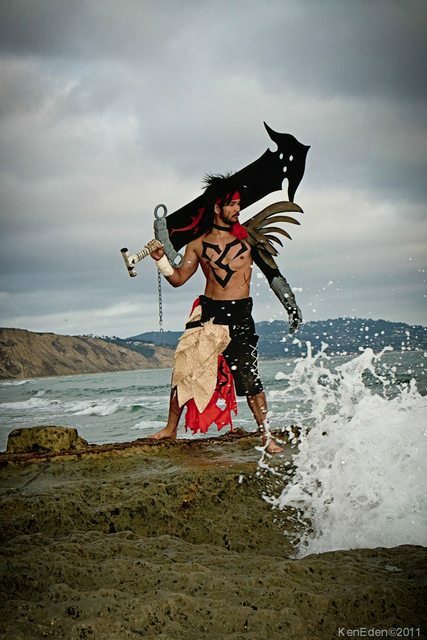 Can anyone give me some tips on making this, it'll be my first weapon that I make along with Shanks from One Pieces sword. 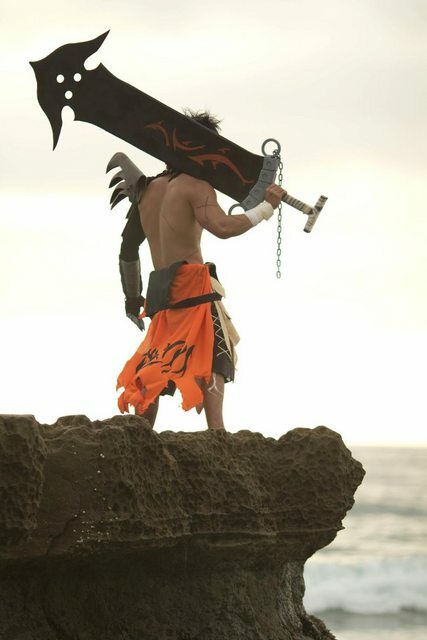 Any help would be greatly appreciated, and by the way this Jecht sword and the cosplay in general look amazing. I saw this link while i was searching for tutorials for Darui's sword. Can someone gave me some tips on making this. 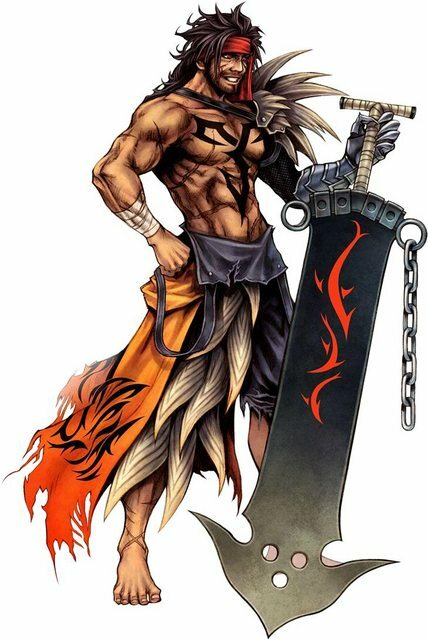 I haven't ever created a sword for cosplay and i dont have the money to buy a replica (even if I could find one). So it would be great if anyone gave me some tips on making the sword. Sorry I don't sew. The girlfriend made them for me.